Suitable for beginners as well as more advanced drummers. 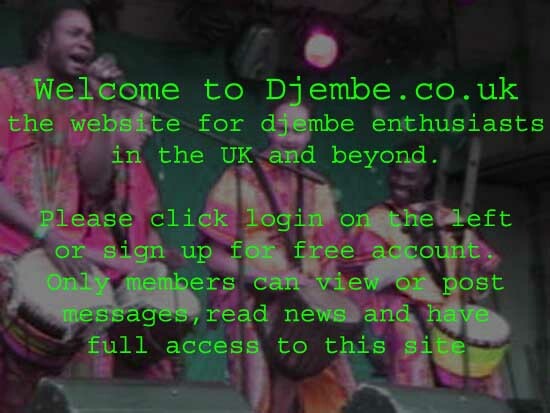 Djembes available to borrow. With Bob Cuff, who has been, and continues to be, taught by some of the World's leading drummers such as Nansady Kieta, Mockolo Sawane and Baba Kone. He brings to the workshops a wealth of rhythms, beats and teaching techniques to enable the very beginner to the more confident drummer. Most of all, drumming is about having fun, and this is at the heart of every workshop.